ATLANTA - DeKalb County, Georgia, Sheriff Jeffrey Mann was charged with two misdemeanors after an Atlanta police officer said the sheriff exposed himself late Saturday and then attempted to evade arrest. Mann, in a statement, vowed to clear his name. He was charged with indecency and obstruction. Mann had exposed himself and was walking in the direction of a police officer, the report states. Once he got within 10 feet, the report continues, the officer turned his flashlight on Mann, identifying himself as police and commanding him to stop. Mann fled instead, leading the officer on a quarter-mile run before finally giving up. The officer said the sheriff ran across 10th Street and into traffic. As Mann approached Ninth Street, he noticed he was losing ground to the officer, according to the report, and finally surrendered. The sheriff told WSB-TV that he appreciates Atlanta police and wants to clear up what he called a misunderstanding. He was booked into the Atlanta City Detention Center and bonded out early Sunday morning. DeKalb Commissioner Nancy Jester said the news of the sheriff’s arrest damages the county’s reputation. Commissioner Greg Adams, a former DeKalb police officer, said his confidence in Mann remains unshaken. Adams said he hopes the allegations against Mann are unfounded. Mann, an attorney, was re-elected to office in 2016, two years after winning a special election to replace Thomas Brown, who resigned to run for Congress. Mann had been Brown’s chief deputy and joined the DeKalb sheriff’s office in 2001. 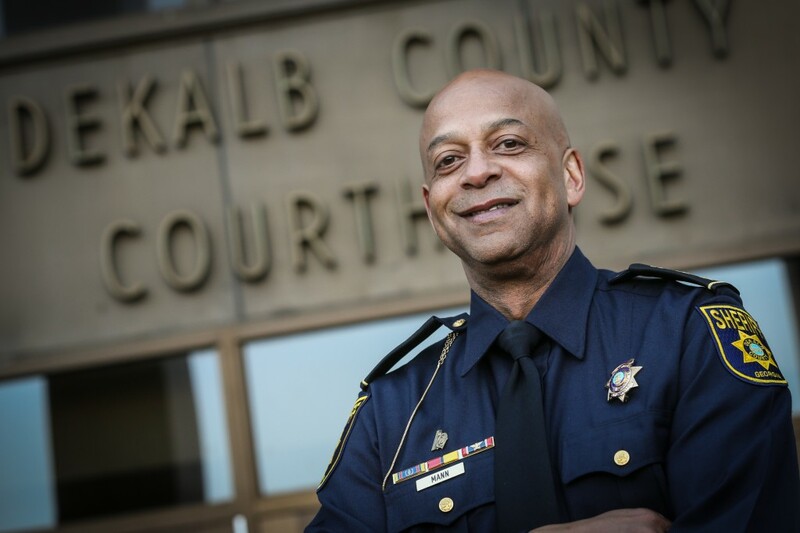 Prior to Brown, every sheriff elected to a full term in DeKalb since 1965 had faced criminal charges.